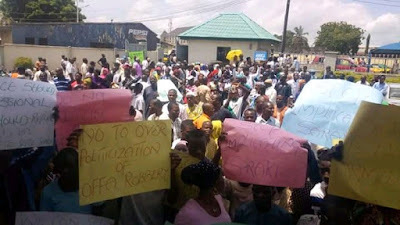 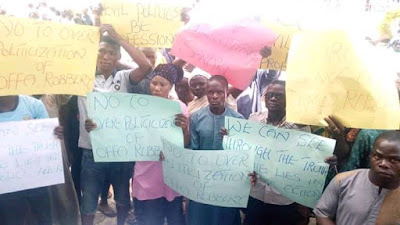 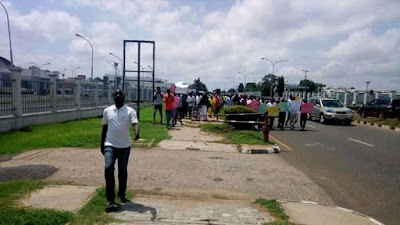 Information reaching Kwarareporters have it that some hired youth who claimed to be concerned youths across Kwara central senatorial district are on a protest to show supports for the embattled Senate President Dr Bukola Saraki. 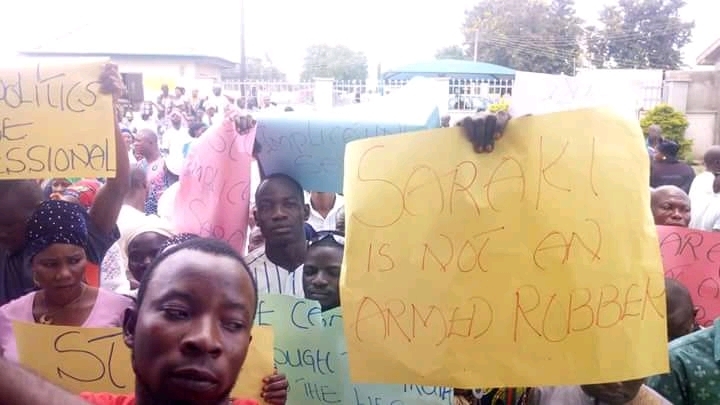 The protesters who storms NUJ secretariat, Government House and several other places in Ilorin with plaque cards in their hands which carries severals messages like "Saraki is not a criminal", "Bukola is our good leader don't implicate Saraki. Oloyeeeeee! ", "Saraki is our Messiah" and many others.